Video RC Drone – Imagens Aéreas. 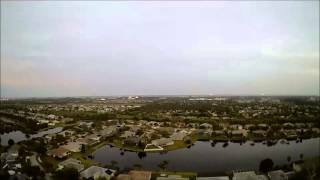 First test flight of my scratch built FPV flying wing. Video is dark, I will post better footage in the future. Music is Paradise by Coldplay Tiesto remix. NEW!! Duratrax 835E Official Running Video on 4S! !